The latest update to Insta360 One X (reviewed here) added major features including the new HDR Video mode, and Google Street View video mode for the iOS app. The problem is that for many users, the firmware update that added HDR Video mode bricked their cameras. Specifically, after the update, the camera wouldn’t turn on anymore. I know they’re telling the truth because it happened to ME too! If that’s what happened to you, don’t worry — it can be fixed! I know that’s true also because mine got fixed too. 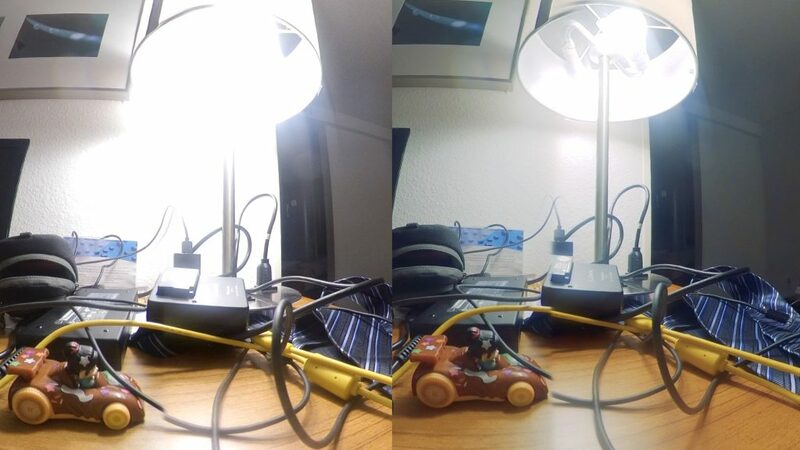 If you upgrade to 1.17.12, then the camera could look and even work ok, but after it powers down, you won’t be able to power it back on again. If that happens, then the firmware has to be updated. It can’t be updated using conventional ways because the camera won’t power on. Fortunately, Insta360 made it possible to update the firmware even when the camera is otherwise inoperable. To update it, you need to contact Insta360 support either through their Facebook page, or through the yellow Support button on the Settings of the Insta360 One X app. They’ll guide you into installing a remote viewer software and then send you the correct files. 1. Install the firmware tool that Insta360 Support sends you and launch it. Follow the settings given by Insta360. 2. Remove the battery and connect the camera to your desktop via USB. When the camera LED blinks red, press both buttons once (don’t hold down). The LED will turn off and the camera will connect to the firmware tool. For Windows users, this may require several attempts (if the firmware tool can’t find the camera, then disconnect the cable and repeat step 2). The good news is that the HDR Video is definitely worth it. It will greatly expand the highlight range (and thereby the total dynamic range) of the One X’s video. It’s not just a postprocessing effect. According to Insta360’s CEO, the One X’s sensor really does combine two exposures. The downsides are that the video is only 25fps (not 30fps), and that if there is a lot of movement, you may see some blur or ghosting. Looks great! Do you think this can be brought to the Pro (1) as well? I have the problem, too. The support is offline till Monday… Can you post a link to the firmware tool? 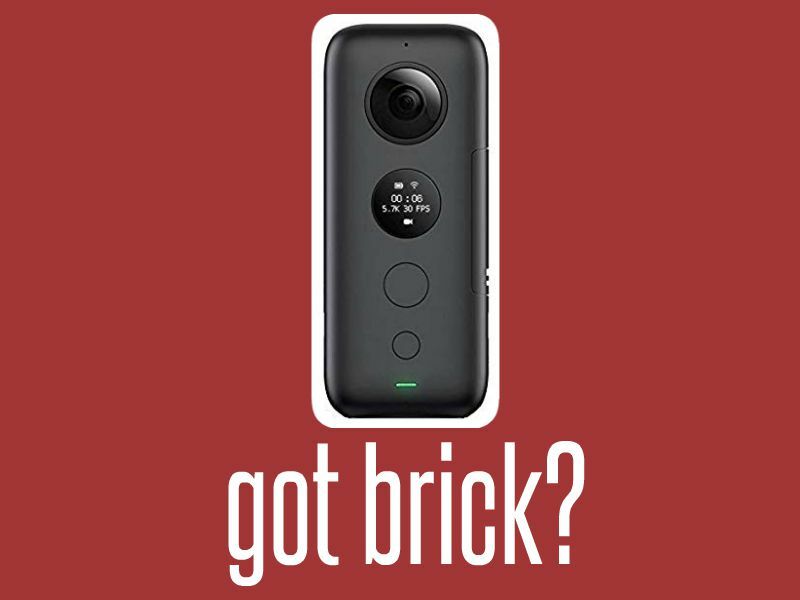 I am on 1.17.12 and I my camera is NOT bricked…Should I upgrade too?? By the way, (my camera is NOT bricked) It looks like (don’t exactly remember how it was before) that after upgrade to 1.17.12 I need to press the on button a bit (like 3 sec) longer than before upgrade. Thanks anyway. I had contact and they sent me the files, too. I hope Insta360 can help me with that firmware tool. The camera doesnt get past the second screen. https://www.youtube.com/watch?v=sRVxYGSM1bc&feature=youtu.be (original firmware v1.17.15) Updating firmware without apps or connecting to a pc would be better procedure. I have the same problem, I contacted the support center but they don’t send me the tool, they offer to change the camera but I bought from Aliexpress, how I can solve the problem, any ideas? Hi Piero. If they offered to change the camera, then perhaps you should accept their offer and exchange your camera with another one. My second one x simply will not fix the horizon, the gyro does not work at all – right out of the box. Plus it didn’t connect to the computer yielding a USB disk message followed by an immediate shutdown. So far, no traction from insta360 support. I finally got it to connect by changing from iOS to Android but support says that it should b iOS, which still doesn’t work. My first one x still works perfectly, just as it did right out of the box. The old one works, the new one does not. Any idea as to how to fix it? Insta360 Stats: add GPS overlays to your Insta360 One X video — no accessories needed!